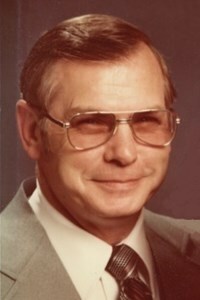 Robert "Bob" E. Hensley, 88 passed away on Tuesday, January 15, 2019, in Olathe, Kansas. He was married to the love of his life Dorothy Mrak for 64 years, had two children, a son Lyman (Patricia) Hensley and a daughter Tonya (Bob) Hensley. He is survived by sister Martha Freeman; sister-in-law Frances (Roger) Myers; and numerous nieces and nephews. He was preceded in death by his parents, Roy and Mary Hensley, brothers Franklin and Lyman R. Hensley and sister Helen Tague. Bob was born in Liberty, Indiana, on April 19, 1930. He graduated from Kitchel High School and spent a year at the University of Utah. He joined the U.S. Navy in September of 1950 with honorable discharge in 1954. While stationed in California, he met Dorothy. They married the following February. Lyman and Tonya were both born in Los Angeles. After the Navy, he worked for two companies before spending the next 28 years working for International Harvester Truck Division. He was also a member of the NAWCC local #36. During his lifetime, he enjoyed playing golf, cooking and baking, and woodworking. After retiring he spent his spare time going to antique malls and estate/garage sales with Dorothy and friends. They traveled around the West and Midwest looking for finds for their numerous collections. The last several years he made many walking canes. Bob had a great sense of humor and loved visiting with people. He always said that he was blessed with a loving wife, children, family and in-laws. We will miss you, Bob! The family will receive guests from 1:00-2:30pm on Monday, January 21, 2019, at Penwell Gabel's Olathe Chapel. Memorial contributions may be given to either Catholic Charities of Northeast Kansas, 9720 West 87th Street, Overland Park, KS 66212 or to the Shriners Hospitals for Children, Attn: Office of Development, 2900 N. Rocky Point Dr. Tampa, FL 33607. To leave a message for his family or to share a memory of Bob, please click on the "Share Memories" tab above or scroll down below. Add your memories to the guest book of Robert "Bob" Hensley.